Kara Hendershot was born in Toronto, Canada in 1980. She moved to the United States just before high school, and later attended the University of Wisconsin in Madison, graduating with a degree in studio art in 2002. Upon graduating, Kara spent a year with AmeriCorps, volunteering in schools in South Carolina. In 2004, Kara Hendershot applied and was accepted into the Northern Warehouse Artists’ Co-operative in Lowertown St. Paul, Minnesota. She remained very active in the Twin Cities arts community – with the production and exhibition of her work throughout Minneapolis and St. Paul, and with the promotion and support of other local artists and organizations. Kara has been an active participant and volunteer in the biannual St. Paul Art Crawl from 2004 to 2016. She has served as a Board Member of Altered Esthetics Gallery in Minneapolis; a Board Member of the Saint Paul Art Collective; a mentor for Free Arts Minnesota, an arts healing program for abused children; and has worked as a contributing writer for the local arts publication, MPLSart. 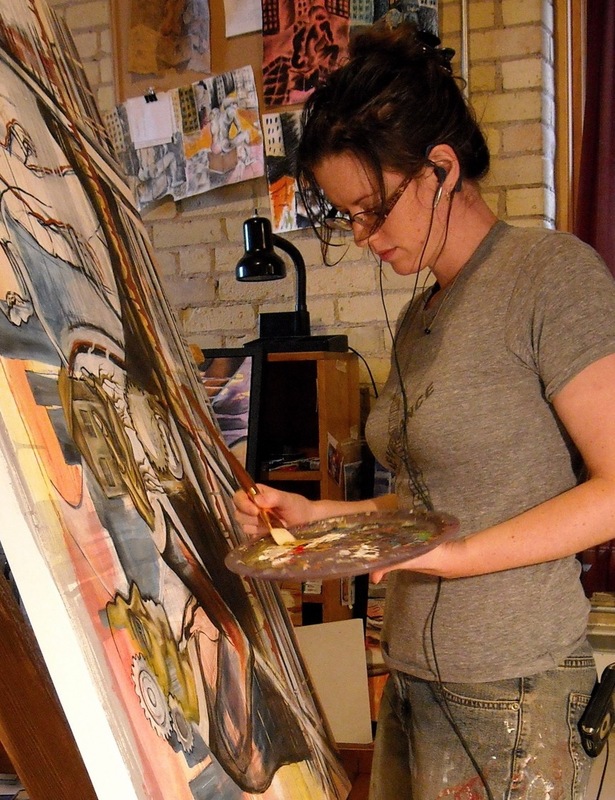 In January 2013, Kara was awarded the Artist Initiative grant from the Minnesota State Arts Board for the study, development, and creation of a new body of work. Kara relocated back to her hometown of Toronto, Canada in September 2018 to pursue new artistic opportunities.